Rebuilding Together | Greater Des Moines – Creating sustainable solutions for homeowners and the Greater Des Moines community! The first Saturday in May is our Annual Wells Fargo National Rebuilding Day. Rebuilding Together, a team of Wells Fargo volunteers and volunteers from other organizations will participate in the seventh-annual Wells Fargo National Rebuilding Day. The volunteers will complete critical home repairs to help more than 30 low-income families throughout Greater Des Moines. We utilize over 700 volunteers for this project and repair over 30 homes in one day. Mark your calendar for May 2019 as we join together to revitalize our city and help low-income homeowners stay safe, healthy and dry. Examples of home repairs that may be provided: repairing or replacing flooring, windows, steps, wheelchair ramps, stabilizing a shower, kitchen cabinet installs, removal and install of back steps, landscaping, and repainting of exterior and many more. These improvements will enable the homeowners and their families to live in a safe and healthy home. The home must be owned by the applicant and cannot be valued over $134,000 and no liens against the property. Total family income must be within the Department of Housing and Urban Development (HUD) guidelines. Applications must be filled out and signed by the applicant and submitted with proof of income verification. Low-income homeowners need to submit their applications by January 31, 2019. Contact us at 284-7403 or mfoster@rebuildingdm.org to learn more about the application process. Volunteers of all skill levels help repair and improve our project homes. Each home has a House Captain, who organizes and manages a project, and a Crew Coordinator who works directly with the homeowner and guides them through the process. 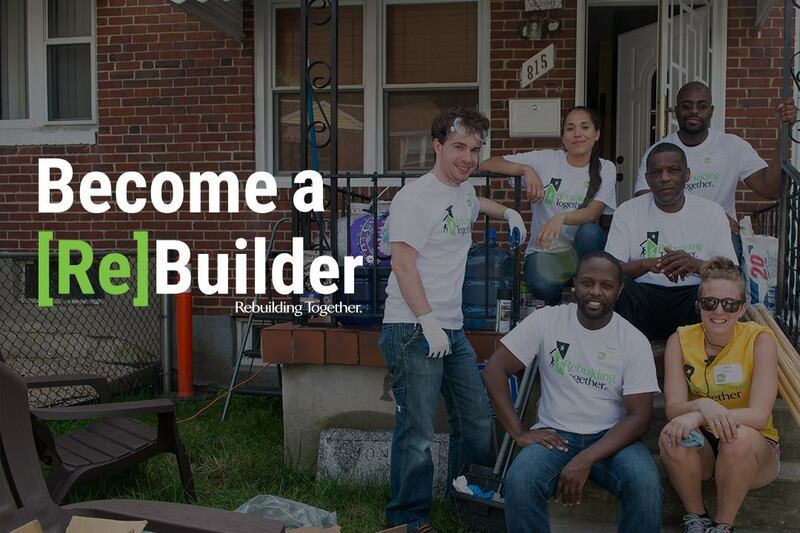 To volunteer with Rebuilding Together, please contact us at 284-7403.